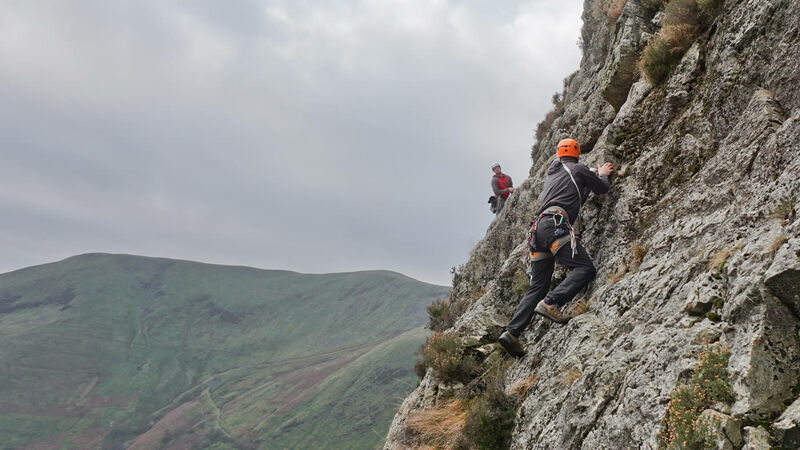 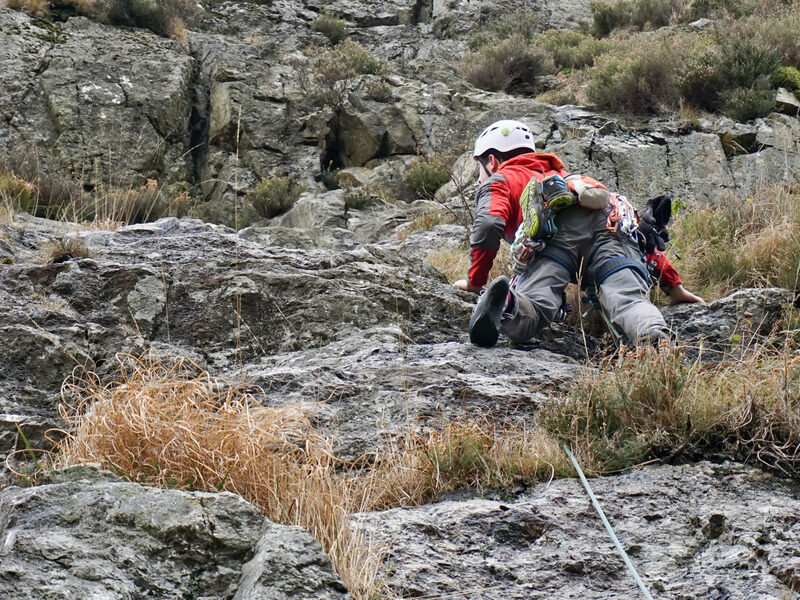 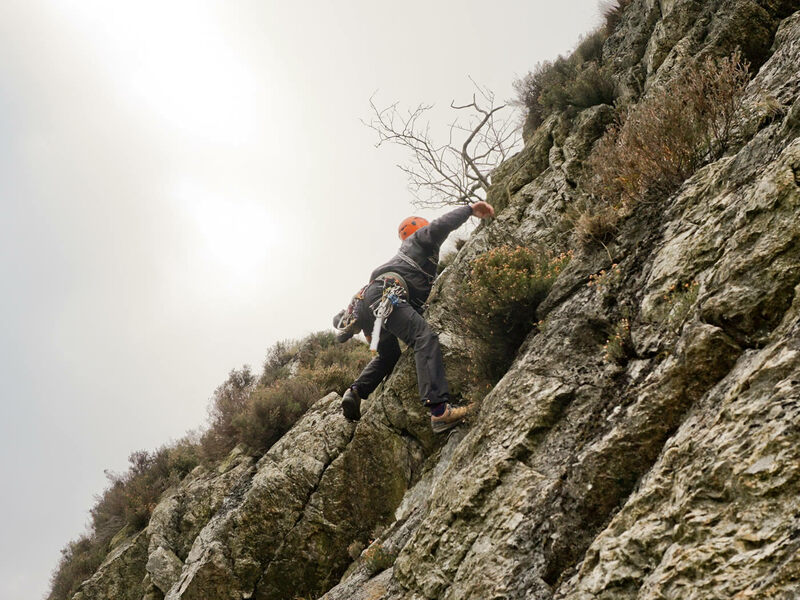 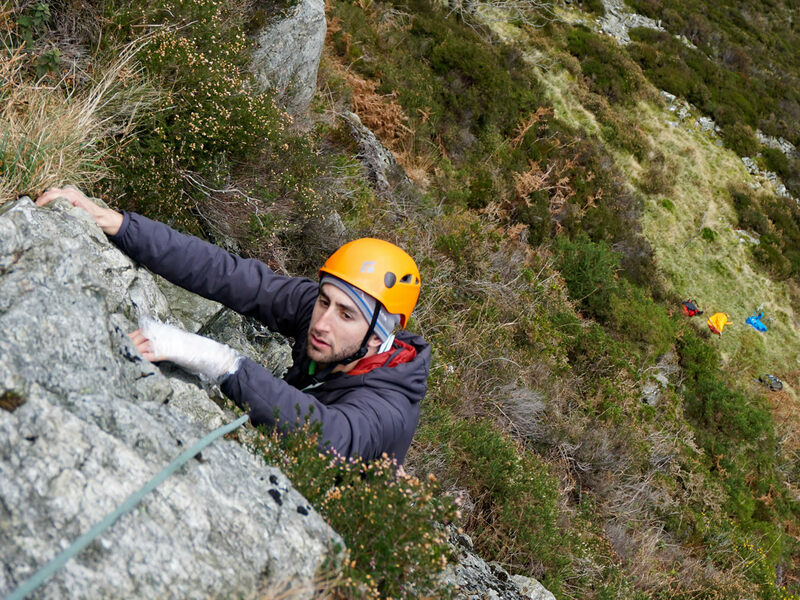 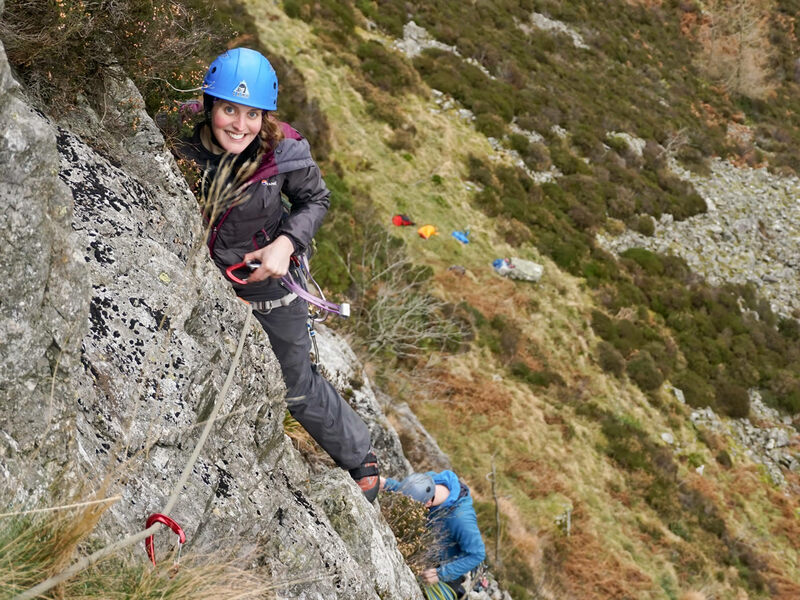 Proclaimed in the guidebook as "one of the all-time Mid Wales classic routes", we found the crag at Craig Cywarch in a rather damp, vegetated condition. 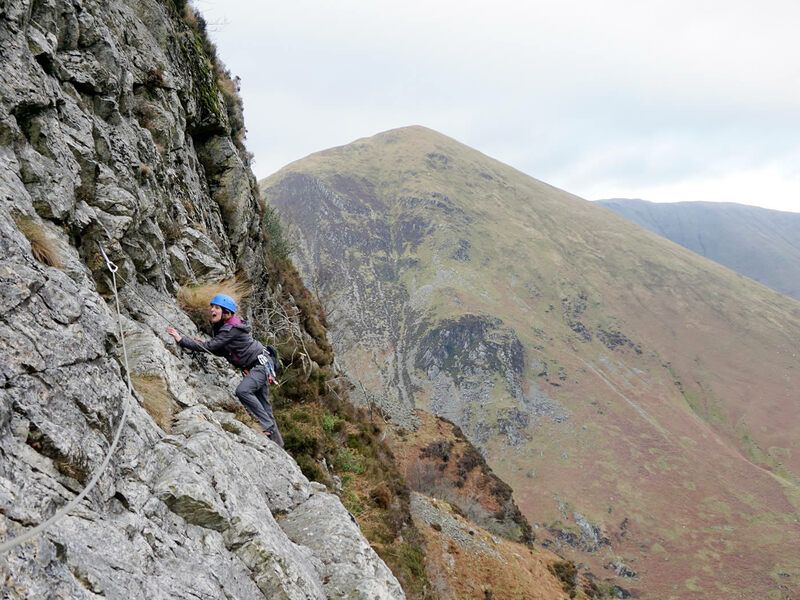 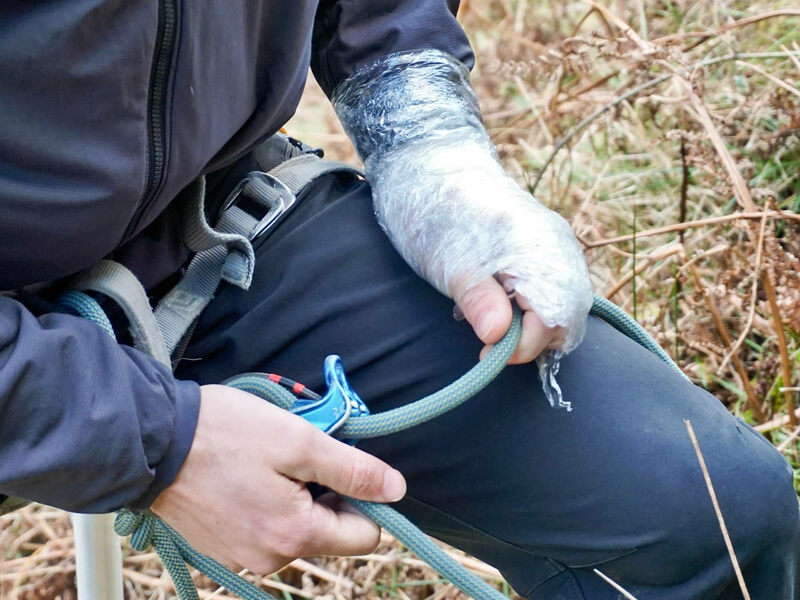 Undeterred, and hoping never to need return to this Classic Rock destination, we set off of a team ascent and were pleased to see the route improve considerably after the first, dripping pitch. 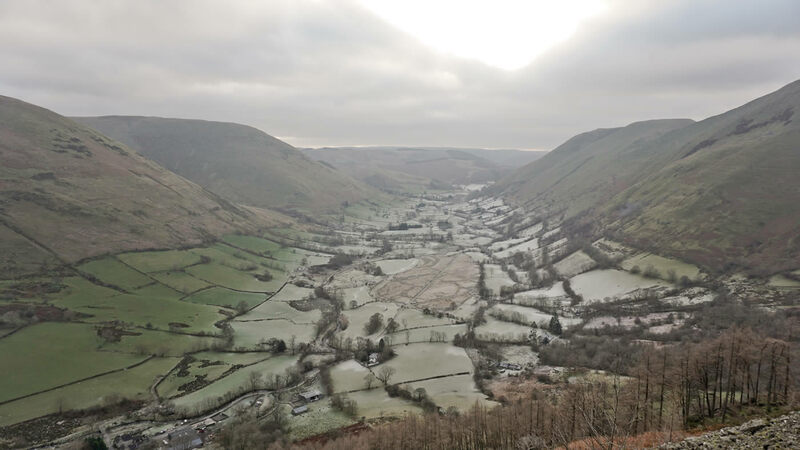 Overall it was a rather cold day, clearly illustrated by the chilling temperature inversion in the valley below.